Today we’re back with Lori Thomason at Pure Devotion. Click the title below to read at source. Click here to read her story. To read this at source, click the title below. God speaks to people every day. Whispering within by His Spirit inviting us to sit in His Presence, meditate on His Word, speak with Him in prayer, and listen to what He says. Though desperate for our attention, the Lord does not speak above soft utterance. He is a gentleman who vies for one’s acceptance but would never force us to come. The Lord called to Samuel. Just a servant to the prophet, the boy served in a time when the “word of the Lord was rare” and there was no “widespread revelation”. God had a word. He needed a voice. He spoke to Samuel. God is speaking to you today. You may not hear him or understand that it is the Lord but I promise you that the Lord is trying to tell you something. There are secrets and hidden things that belong to you and God will only reveal to you. Personal, life changing, and intimate details of a future that is absolutely too good to be true. Things that will change your hopeless perspective to a faithful pursuit. It is time to stop running with every little question to the men and women of God, family, friends, acquaintances, social media, and any other mentor or advisor. God is speaking His Word directly to you today. You must only say, “Speak Lord, for Your Servant hears.” Are you listening for the voice of the Living God today? Deuteronomy 29:29 (NKJV) “The secret things belong to the Lord our God, but those things which are revealed belong to us and to our children forever, that we may do all the words of this law. Every secret thing belongs to the Lord our God. What does that mean? There are things not written in His Word for you and me that can only be discovered in an intimate relationship with God. Righteousness gives us full access to God including every secret and hidden thing reserved for you. His Word defines His Nature and His Intentions for us. It creates familiarity so there can be discernment in the voices heard within our heart and head. In other words, by reading, studying, mediating and coming to know God’s Written Word (the Law) – then and only then can we distinguish between them all. Secondly, Jesus is the Word. 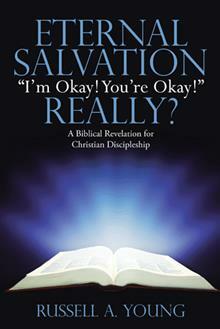 Without the person of Jesus Christ, there is no salvation or righteousness. We must have a personal relationship with Jesus (who is the Word of God made flesh) to know and understand the communication of God with His People. The keys to the Kingdom unlock the secrets and hidden things to God’s People. Isaiah 45:18-19 (NKJV) For thus says the Lord, Who created the heavens, Who is God, Who formed the earth and made it, Who has established it, Who did not create it in vain, Who formed it to be inhabited: “I am the Lord, and there is no other. I have not spoken in secret, in a dark place of the earth; I did not say to the seed of Jacob, ‘Seek Me in vain’; I, the Lord, speak righteousness, I declare things that are right. So then faith comes by hearing, and hearing by the word of God. (Romans 10:17) You cannot be ignorant in the Word and affluent in faith. It’s contradictory to think you can have all of God’s Promises randomly because faith in God is intentionally sowing our life in the Kingdom of God and reaping faith’s productivity. Faith is completely believing and being fully assured of God’s Faithfulness outside of every natural sense that people rely upon. It means taking God completely at His Word. Are you seeking God in vain? By ignoring the Word of God as our way of life, we are living the same life expecting different results which some might call insanity. Isaiah 48:5-8 (NKJV) Even from the beginning I have declared it to you; before it came to pass I proclaimed it to you, lest you should say, ‘My idol has done them, and my carved image and my molded image have commanded them.’ “You have heard; See all this. And will you not declare it? I have made you hear new things from this time, even hidden things, and you did not know them. They are created now and not from the beginning; and before this day you have not heard them, Lest you should say, ‘Of course I knew them.’ Surely you did not hear, surely you did not know; surely from long ago your ear was not opened. For I knew that you would deal very treacherously, and were called a transgressor from the womb. In Jeremiah 29:11 [we read] that the Lord knows the plans that He has for you. Thoughts of peace and not of evil. To give you a future and a hope. This is confirmed in other scriptures including Psalm 139, Ephesians 2, and Romans 8. God has revealed His Purpose for us and instilled it us with a measure of faith to attain it. There is no such thing as coincidence without separating ourselves from God. Why? God is Sovereign. Coincidence implies a compromise in God’s Sovereignty. A breach in His Power and Authority. It means that He is not the Great I AM. Creator of the World and everything it in. It crumbles all foundations of faith because it compromises the Truth. The Word. Coincidence is not possible when Roman 8:28 is true. God not random. He is reckless only in His Love for us. Ephesians 3:8-12 (NKJV) To me, who am less than the least of all the saints, this grace was given, that I should preach among the Gentiles the unsearchable riches of Christ, and to make all see what is the fellowship of the mystery, which from the beginning of the ages has been hidden in God who created all things through Jesus Christ; to the intent that now the manifold wisdom of God might be made known by the church to the principalities and powers in the heavenly places, according to the eternal purpose which He accomplished in Christ Jesus our Lord, in whom we have boldness and access with confidence through faith in Him. Who is Christ? This might sound like an unnecessary question to pose to Christians, however an understanding of who he is to the extent that his ministry can be fully accomplished is seldom appreciated. Many years ago, through research and prayer I had sought to gain insight concerning the evolution of Canada from a country that had once elevated Christ to one that can be termed “a post-Christian.” Most Canadians would have identified themselves as supporting Christian principles and most would have identified themselves as being of this world view. Although many would accept the designation, commitment to Christian principles in life has become lacking, is often ridiculed, and for political-correctness has been discarded. Late one night, having doggedly pursued my query for most of a year, a vision came to me and I was overwhelmed with a great sense of peace. (This has been the only one that I can recall.) It was of a whiteboard with the wording printed, “They must know him.” At the time, I accepted this to represent the need for evangelism and gave it little more thought. Recently, in prayer, while seeking knowledge of God’s will, the realization came to me that “knowing him” meant knowing him as Holy Spirit. Although I had written on the fact that eternal salvation comes through Christ as the Holy Spirit (2 Thess 2:13, Titus 3:5; Gal 6:8), I had not connected it to my earlier vision until this day. That is, “They need to know Christ, as Holy Spirit.” This appreciation is not common even among spiritual leaders. Paul made the association clear to the Corinthians. “Now the Lord is the Spirit, and where the Spirit of the Lord is, there is freedom. And we, who with unveiled faces all reflect the Lord’s glory, are being transformed into his likeness with ever-increasing glory, which comes from the Lord, who is the Spirit.” (2 Cor 3:17─18 NIV Italics added) Paul has also made this revelation to the Colossians and to the Galatians. “To them God has chosen to make known among the Gentiles the glorious riches of this mystery, which is Christ in you, the hope of glory.” (Col 1:27 NIV Italics added) “I have been crucified with Christ and I no longer live, but, Christ lives in me.” (Gal 2:20 NIV Italics added) Note that it is Christ in the believer that is his or her hope of glory, not Christ on the cross, although his life-offering is essential. Knowing Christ requires recognizing his holiness and authority and honoring it. Christ said that he was the way, the truth, and the life (Jn 14:6). The Spirit is his life. It is this aspect of Christ that seems to have been missed and it is through honoring this person that commitment and self-discipline are required. Neglect of his life has resulted in Canada becoming a post-Christian nation. The power of Christ for eternal salvation and for ministry is being lost. The Spirit was sent to “convict the world of guilt in regard to sin and righteousness and judgment” (Jn 16:8 NIV), however tradition has carried the church in Canada more than conviction by the Spirit and without conviction truths become cast aside and are lost. Without conviction people do not contend for the faith. Without conviction the righteous requirements of God are replaced with personal interests and desires. Without conviction, the Spirit, Christ in us, will not be honored as our lord or sovereign and cannot minister for the confessor. Many accept the designation of being Christians, but do not live his life. They have hearts, attitudes, and practices that are difficult to distinguish from the multitudes that surround them; consequently, Christian values have been replaced by those of the worldly multitudes and Canada has lost its Christian identity. The power of God has been usurped by the prince of the power of the air. Concerning the last days Paul wrote that people would have “a form of godliness but denying its power. Have nothing to do with them.” (2 Tim 3:5 NIV) The power of God is exercised through his Spirit. The sovereignty of God as Lord and King is seldom acknowledged, even from pulpits, and his lordship other than as a title. I just want to make two points points in this message. The first point is this: It is important we understand that our worship to God is personal, God sees us as individuals in the place of worship. Each of us is expected to come to a point God will say, ‘That’s James worshiping… oh, Johnson is praying now… that’s Jane praising me’ in other words, your voice should be recognized in heaven. Sometimes we think like how can God have my time when there are billions of people in the world? Of course He does have time for each of us, in a church of one million members in attendance God recognizes the voice of each one, the story of Cain and Abel confirms what I am sharing here. It is important you realize that as we gather to worship or worship personally God is waiting to hear your voice. The second point is this: It is important you realize and acknowledge what God has done for you. Don’t allow the thought of the things God has not done overwhelm your heart to the point that you forget His goodness; rather thinking of His goodness will give you reasons to bless the Lord. The psalmist considered this absolutely important so he spoke to his soul, ‘Bless the Lord, o my soul‘ he enumerated good great things God has done for him. God has been good to everyone include you, no matter what you’re going through now, if you think deeply you will realize the goodness of the Lord. I know you still have questions to ask God, questions like; why am I going through this? Why me? In the midst of your challenges and trials God is still good, and as you worship Him continually, He is committed to walking you out of the tempest storms. God bless you, do have a praise-ful week. 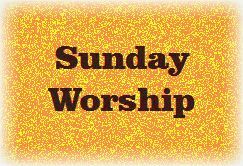 We have two worship songs that were suggested by today’s reading. The first one was just presented here three weeks ago, but fits so well we’re repeating it with a slightly remixed version. The next one appears for the first time. 13 ‘In my vision at night I looked, and there before me was one like a son of man,[a] coming with the clouds of heaven. He approached the Ancient of Days and was led into his presence. 14 He was given authority, glory and sovereign power; all nations and peoples of every language worshipped him. His dominion is an everlasting dominion that will not pass away, and his kingdom is one that will never be destroyed. When we were launching our Sunday Worship series of articles, we discovered the blog Ascents. We made a return visit this week and noticed this particular topic, which had been discussed in the church service we attended on Sunday. The writer is Tim Adams. The other day, I posed a question to my family and a few friends asking whether or not we should refer to Jesus Christ as the Ancient of Days, as many songs we sing in church do. I felt that I had already come to an opinion on the subject, but I wanted to encourage them to research the question for themselves and articulate a position. One of the dangers of internet research is the fact that anybody armed with a laptop, tablet, or smartphone sitting in a secluded corner of Starbucks can publish their ramblings, credible or not, on the world wide web. What I found when I asked Mr. Google for the identity of the Ancient of Days was that opinions were many and varied. It seemed as if all those people with laptops at Starbucks had weighed in on the issue. Obviously, as with all questions like this, the place we need to go for clarity and guidance is not Google, but Scripture. When we do, we find that the phrase, Ancient of Days, only appears in the 7th chapter of the book of Daniel. Here, Daniel is describing a vision consisting of 6 primary characters: 4 beasts representing 4 earthly kings, the Ancient of Days in all His glory and power, and the Son of Man who receives from the Ancient of Days an everlasting kingdom. From this passage we can see that the Son of Man and the Ancient of Days are separate persons. From Christ’s own words we know that He is the Son of Man and that he has received all authority from God, the Father. Therefore, the Ancient of Days in Daniel 7 cannot be Jesus Christ. So there. Another theological mystery solved and more ammo to shoot down the biblically illiterate, contemporary Christian songwriter. Well, not so fast Marshall Dillon (ancient TV show reference). There may be other things to consider. First, Ancient of Days, is a title God has given to Himself referencing His own eternality. In other words God precedes time itself. But, Jesus is also eternal. John 1 tells us that He was there, one with God the Father, at the beginning of creation. Therefore, Jesus is, in fact, ancient of days. Perhaps not the Ancient of Days, but ancient of days, nonetheless. I know what you’re thinking. “Tim, could you possibly split a smaller hair?” Probably, but here’s why it’s important. When we worship, when we pray, and when we join voices with other believers to teach and admonish each other with psalms, hymns, and spiritual songs, we must take great care to regard God in a manner that is worthy of Him. In Scripture, God has given us insight into certain truths and mysteries about Himself; and, while we don’t yet know Him perfectly, what we do know must be proclaimed in truth with authority; and, whatever we proclaim must be informed by and filtered through the lens of Scripture. Also, it’s usually risky to refer to Him in ways He has not referred to Himself. As we worship, as we pray, and as we speak of God, let us always be mindful of who it is we are talking to, or about. He is God, the all powerful creator of all that exists, and the sustainer of life itself. To know Him is eternal life. It has been said that as God is infinite, we will be spending eternity learning about God. What an amazing thought. But until that day, as imperfect as we are, let’s always strive to see God as He has revealed Himself to us in His Word. Prophetic books are complicated. Before we leave this subject today, I know some are wondering, ‘Is Daniel really the only place where ‘Ancient of Days’ is used?’ It may be that you’re making a connection to Revelation where we read. which is a reference to Daniel 7:13.
Who you think is being referred to in Revelation, probably has much to do with how you’ve heard that text explained, but Tim raises a good point distinguishing between who appears in the Daniel 7 passage. …While you’re thinking about that, we couldn’t let this text go by without including the worship song, Ancient of Days by Ron Kenoly.